*$5 General Admission. Kids aged 10 and under are free. 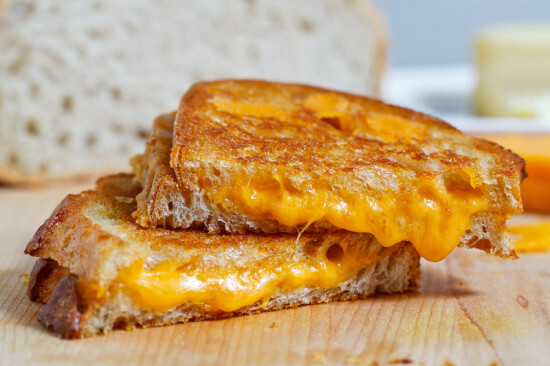 Celebrate National Grilled Cheese Day 2019 at this one-day-only event with a bevy of food trucks serving up their unique versions of grilled cheese sandwiches at SoMa StrEat Food Park on April 13-14, 2019. They’ll be taking these stellar, grilled cheese concoctions to new heights with an out-of-this-world pairing – craft beer. Cheddar and a pilsner, provolone and a pale ale, jack and an IPA. Tap into one of the most legendary duos to grace your palates with all you can drink craft beer. Devour your favorite cheesy classic in all its toasty glory alongside live music from The Stu Tails – it’s the perfect way to melt into the weekend! Many food trucks are making and selling their own spin on a grilled cheese sandwich.